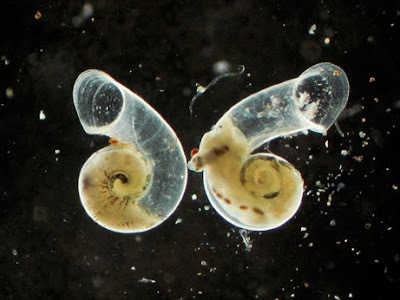 October 22, 2009--This newfound subterranean snail in the Hydrobiidae family lives in aquifers in the heart of Australia, about 100 miles (180 kilometers) northwest of Alice Springs. Until now, most of the continent's arid regions hadn't been explored by invertebrate experts, in part because the underground springs and microcaverns--some smaller than 0.4 inch (1 centimeter) wide--were thought to be devoid of life, said team member Steve Cooper of the South Australian Museum in Adelaide. "We are only just beginning to discover in Australia that groundwater is not just an inert entity," Cooper said via email, "but is the host of many diverse ecosystems with an extraordinary array of previously unknown species."